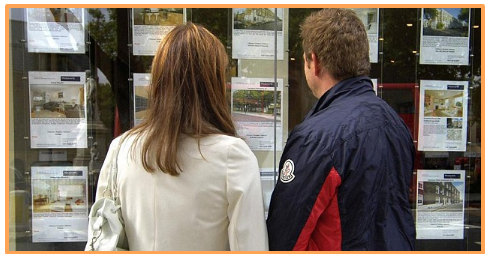 Payday loans can hinder your chances in applying for a mortgage. Average loan £270 - £300 with average APR 1,200%. The UK Payday loan industry is valued just over one billion pounds. 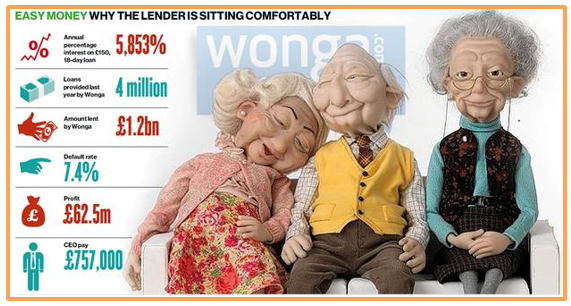 Just imagine how many people have turned to loan sharks like Wonga.com and Quick Quid over the years? According to the Office of Fair trading (OFT), more than 7 million loans were accepted in 2012 majority from Wonga.com alone. The statistics here highlight how successful Wonga.com are with making a profit off vulnerable people in 2013. Wonga took £62m in profits within a year by charging high interests. Furthermore, 19% revenue for payday loan companies come from 5% of loans that roll over or refinanced 4 or more times. Loan companies thrive off customers who can’t pay back on time – the longer they wait for repayment, the more you pay back due to the high-interest rates – leaving customers dissatisfied and could end up in a debt cycle - not good for your financial well-being whatsoever. Statistics reveal that one in every three loans given are paid after the deadline or not paid back at all. The playfulness of payday loan adverts and marketing ploy may lure people in however you should also know that taking a short term loan can significantly affect you from ever becoming a homeowner. If you’re looking for extra money for whatever reason, Profit Squirrel provide a better way for everyone to £500+ every month. It’s better than choosing a loan company because you’re not borrowing money and paying extortionate interest rates, you’re making money yourself - nice and easy. If you're looking to seek financial advice, it's recommended you visit the Money Advice Service first before looking to seek a loan. Hopefully, when you join Profit Squirrel you won't need to rely on any other way to earn that extra bit of income to help you towards living more comfortably. I remember taking one short loan of £300 when I had just lost my job and needed to cover rent. I was 2 weeks behind payment and they stuffed me with an extra £90 late payment fee. So glad Profit Squirrel's here, truly showing people like myself that there's a better way to earn and live comfortably.